The Intelligence Electronic Warfare Tactical Proficiency Trainer (IEWTPT) provides proficiency training for military intelligence analysts and system operators to acquire and exploit intelligence data in a “train as we fight” simulated environment. 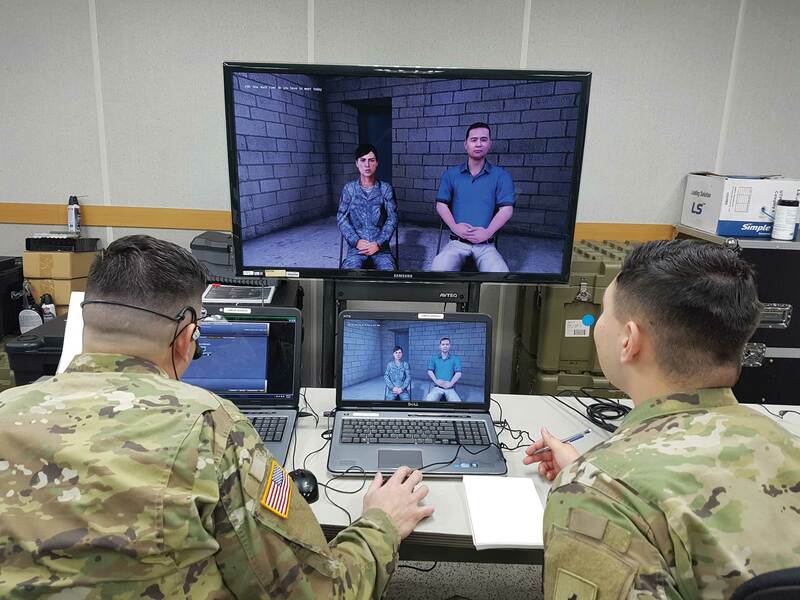 IEWTPT fills critical intelligence Soldier training gaps at home stations for Human Intelligence (HUMINT), Signals Intelligence (SIGINT), Geospatial Intelligence and All Source Intelligence. It directly supports individual, crew and collective training in support of mission command and unified land operations. The Technical Control Cell (TCC) is the cornerstone training device of the IEWTPT and is the network interface to the exercise training environment. The TCC Lower Enclave (LE) operates up to the secret classification level and performs many functions to support exercise design, setup and execution. The TCC Upper Enclave operates at the Top Secret/Sensitive Compartmented Information classification level and drives all SIGINT training. The HUMINT Control Cell (HCC) provides sustainment training for HUMINT and Counter Intelligence collectors in an immersive and virtual training environment. Intelligence is an essential enabler of ground combat readiness. IEWTPT is the Army’s only system that supports the sustainment of mission-essential and highly perishable skills of intelligence collectors and analysts. In addition to training individual Soldiers’ measure-of-suitability skills, IEWTPT facilitates collective training across the various intelligence disciplines.